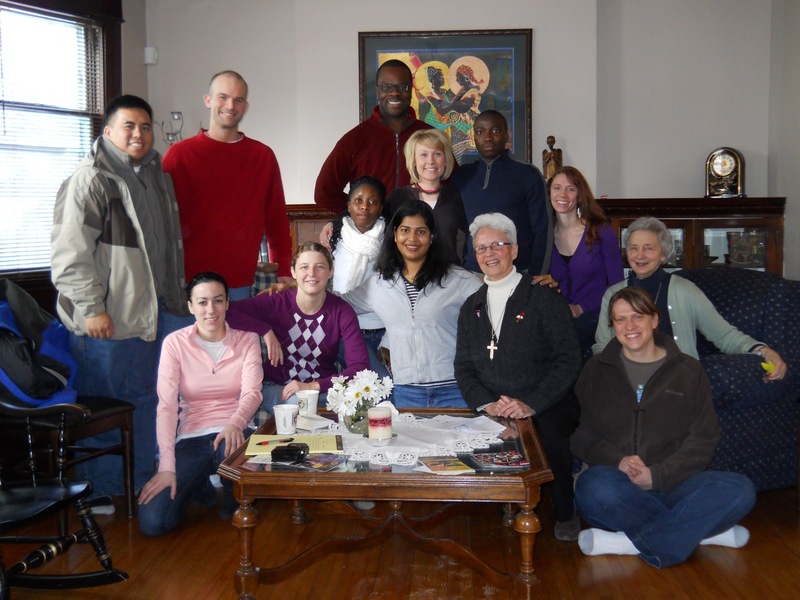 The mission of VIP is to give young adults the opportunity to extend the ministry of the Visitation Sisters, which is to Live Jesus in north Minneapolis. This is done through community living, development of relationships, Salesian Spirituality, and an internship of ministry within north Minneapolis. 1. The VIPs live in an intentional VIP community and commit to community nights once a week with their house, and then also with the Sisters on a regular basis. 2. The VIPs serve in a ministry within the north Minneapolis community, one that would fit the intern’s gifts and talents. 3. The VIPs learn Salesian spirituality through the Visitation Sisters, the Visitation Companions, north side neighbors, and through study and retreat opportunities. 4 . The VIPs are offered spiritual direction, vocational discernment, and prayer opportunities through the Visitation Sisters. The VIPs will live in community near the Visitation Sisters’ monastery in north Minneapolis. By living in the north side community, VIPs can join the Visitation Sisters for prayer and ministry on a regular basis. They will also work within the neighborhood. They will share a common life by communal prayer, meals, and reflection. The VIPs are neighbors to each other and to those living in north Minneapolis. Getting to know those who live and work in this area and those who spend a good part of their day on the streets of this neighborhood will give the VIPs an opportunity to learn with and from the neighbors. At the core of Salesian Spirituality is relationship. The Visitation Order is founded on and named after Mary’s visit to her cousin, Elizabeth. Visitation’s founders, St. Jane de Chantal and St. Francis de Sales, had a deep friendship that guided their prayer and their ministries. The Sisters strive to live out this value vital to their founders. It is through relationships of love and respect that the VIPs will learn from those who share daily life with the Sisters. Many people come to the Visitation Monastery. By spending consistent time with the Sisters, VIPs will have the opportunity to hear the stories of those who knock on the Sisters’ door, learn about their lives, and receive their wisdom. The De Sales Spirituality Center describes Salesian spirituality as “A down-to-earth path to holiness. It provides people not only with food for thought, but food for living a God-centered and other-centered life here on earth.” It is best taught through daily experience, study and prayer. Visitation Interns will enrich their personal lives through prayer, study, ministry, and interaction with the Sisters, their neighbors and other Visitation Interns. The VIPs will get to know the Sisters and Salesian spirituality by joining the monastic community for their liturgical prayer and by regular interaction along with meeting times for sharing Salesian spirituality. The VIPs will have opportunities to share in the Sisters’ ministry at the monastery and through opportunities organized by the Community. North Minneapolis is a mixed-income neighborhood and culturally rich community. By living in close proximity with the people of north Minneapolis, VIPs will have the opportunity to build authentic friendships with the people of this neighborhood. These relationships, a vital step toward deeper understanding of social justice, will bring them closer to the realities and vision of Catholic Social Teaching. VIPs will have the opportunity to read and discuss the framework of the Catholic Church’s rich Social Justice teaching and how it relates to the ministry of the Visitation Sisters in north Minneapolis. VIPs will also learn how their way of life in north Minneapolis is a reflection of this legacy of the Catholic Church. Persons who join VIP do not have to be Roman Catholic. However, since a Catholic Community of religious women sponsors VIP, the program will reflect the teaching and worship of Catholicism. In addition to the study of Catholic Social Teaching, the VIPs will also do ministry in the neighborhood to further their first hand knowledge with what they are learning. Each VIP will have a specific outreach in the neighborhood for a specific ministry. When the VIP comes for orientation in August, the VIP will choose the particular work that speaks to their gifts and talents as well as responds to the community’s needs. “Door” ministry at the monastery will also be a part of the VIP’ s week. Opportunities abound for ministry in the neighborhood: teaching, tutoring, mentoring, early childhood care, after school activities for youth and teens, restorative justice, peace foundation work, helping some of the non-profit businesses and centers in the area; this is a sampling of the many possibilities in the neighborhood.